An Interview With the Grammy-Nominated Gospel Recording Artist, TRAVIS GREENE! That’s a very interesting question. Currently there is no music playing in the background. Because my life is so fast and so loud actually enjoy silence. I don’t listen a lot of music. If I do need to get in a good mood I listen to Bethel Music or Hillsong United and it broadens my perspective on whatever I’m facing and it shows how big God is and how little my problems are. There’s a song that Bethel just released written by Cory Asbury called “Reckless Love” and that’s been a song I keep on repeat. Music is all I ever wanted to do. I have a love and passion for it at a young age. I was awestruck by musicians and anyone with musical talent growing up. Just always thought it looked cool and something I wanted to do. My earliest memory is attending John Pee Kee concert when I was 12. He called gave me a microphone and allowed me to sing his song “Show Up”. That was about 21 years ago. 2017 has been a year of expansion and unbelievable favor and seeing and experiencing this a I can only dream of. The platform because larger especially international. In 2018 I’m looking forward to my first domestic tour. I’m really really excited about that. It’s something I’ve always wanted to do. For New Years resolution, every top of the year I take a stab at eating cleaner and working out more. I always like to ask artists about where they came from and how that city or town has influenced them as an artist now. Show do you think your hometown and current home has affected you and your music today? I grew up primarily in a city called Columbus, GA and from there Warner Robins, GA. The neighborhoods were on opposite sides of the spectrum. One was very urban and the other was very rural. Being from those two places have allowed me to adapt and helped me be internally diversified. Given me an edge to let me gifts to flow no matter where I am. Congrats on your Grammy nomination for Best Gospel Album for your collection, “Crossover: Live From Music City”! This marks your third career Grammy nomination so I am curious to know does it feel just as exciting and thrilling each time? Absolutely! Every time its breathtaking. There’s nothing like the first time. It’s something you don’t get used to. I’m very honored to be highlighted by so many people. When you were putting together, “Crossover: Live From Music City,” did you feel that it was a special project and some of your best work? Can you talk about the process of putting together this collection? Were there any unexpected challenges or surprises about it all? This process was a little different from the last. I’ve evolved as a writer, singer performer and a father. A lot in my life has changed. The music flows from that and the state that I am around the time that I was putting together the album. I felt very good about the album early on. I’m my worst critic. My motto is I never want any skipped tracks – I want every song to mean something to the listener. I was very excited about this project. The production quality is increasingly better; we tried to be a bit edgier and more mainstream than your typical gospel music. I wanted it to flow, but yet I wanted it to have versatility. I wanted it to hit you in different moods and penetrate your heart. While this may be difficult, can you pick out a few of your favorite songs from this album and talk about how they were created? How did they go from being just ideas in your head to full blown songs on this collection? Ouch! That’s really tough. Picking my favorite songs. I would say (long silence) it depends. Because I’m so invested in the process of writing and production i have different songs for different things. I have favorite songs that are my favorite lyrically, in production, I enjoy performing the most. Lyrically would be “Instrument”. I love the approach of it – it’s very poetic. I like the metaphors throughout the song. My favorite song to perform is “See the Light”. It’s a song of hope. It’s fun to perform and it’s very energetic and I have a lot of energy. Production wise, “Daddy’s Home”. I knew in my mind where I wanted to go with it, which was kind of a blue grass feel but yet still a urban production. There’s something really unique about the music God allows me to do. The marriage of genres and the collision of different melodic forms, instruments and sounds. How do you think that you have grown as an artist since your first release in 2007? Do you think that what motivates you to make music year after year has changed at all? If so, how has it changed? I think as an artist I have grown a lot. God has expanded my gifts from writing to producing to singing and performing. I’ve seen more, so that goes into my well if inspiration. the miracles in my family, traveling the world and really seeing that he’s not just a God of America. My worldview – all of those things have contributed to my evolution as a person and an artist. My motivation is the same. To glorify the name of Jesus and lift him up. I have no personal ambitions except to do what He has caused me to do. 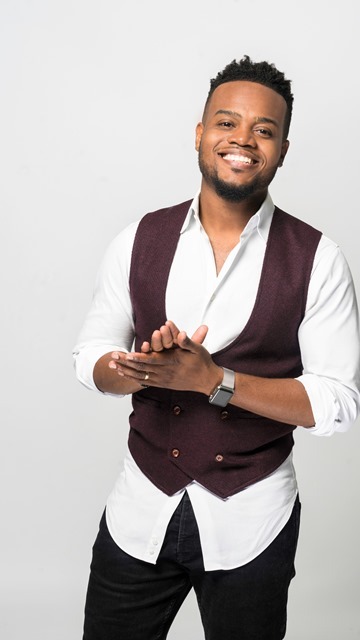 What do you think of the evolution of Gospel music? How do you think it has changed since you have been making this music? What do you have of other Gospel artists out there today? 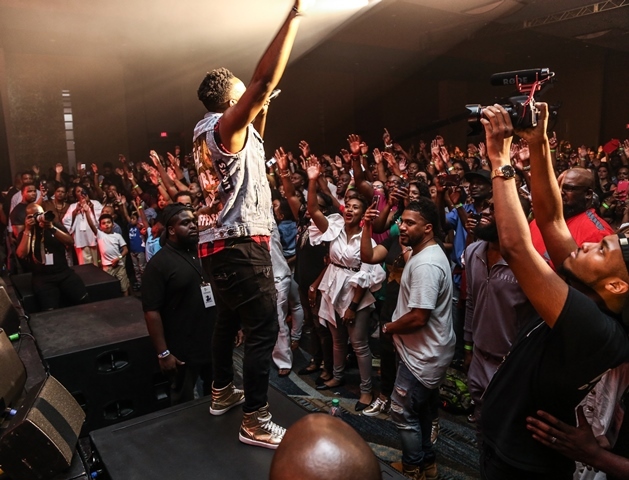 Do you find that the younger gospel artists are changing the game at all? I think the gospel genre has evolved and is evolving. We are becoming bolder in our expressions. That is, we are taking more musical liberties and risk, and breaking the box of tradition. I’m happy to be a part of that. Not that it hasn’t been done in the past, but I think a lot of people in the past bore the the criticism to be able to pave a road for people like myself and Todd Delaney and Jonathan McReynolds and many others. 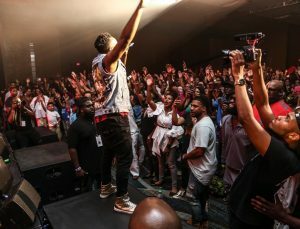 Contrary to the past when you had a rebel like Kirk Franklin or Fred Hammond of John Pee Kee to now, it was almost like one guy would rise up and push the envelope for a decade at a time, but now there isn’t one Kirk for the generation; instead there are multiple artists willing to expand and push the genre of gospel beyond what it was. I understand that you are kicking off 2018 with a US tour. Where are you really looking forward to playing at? Will this be the first time that you have performed at any of these venues? I think it will be my first time performing at most of the venues, but not my first time in the cities. There’s not many cities in America I haven’t had the privilege playing in. I have a reason to be excited to play in each city as I have family or friends or something that has happened historically to me in each city. I think the power of music is that it’s a universal language. It doesn’t matter whether you’re in a remote village or populated city. The rhythm of music can change your mood and get you smiling and get you dancing. Sometimes you don’t even know hope has stirred in your heart until the song is ending. In a dark world, instead of complaining or confirming to what’s around why I’m called to do is to engage against it and move upstream to be the voice of change? There are a few people that I’d love that I will never have the opportunity to work or perform with such as Michael Jackson and Whitney Houston. They are both individuals that I have admired for a long time. Alive? Most of my favorite heroes I’ve been able to work with. I would also still love to be a fly on the wall and watch Kirk Franklin work because I like the way his kind works in production. But I have had the privilege of being around most of my heroes which is awesome because I’m a gospel fan through and through. Ultimately what i want supporters to take from my music is the message of hope and peace. I would like to be remembered and known as someone who helped redefine the future of worship in our churches. How we can be creative and free. That’s something I’ve been called to and am excited about. 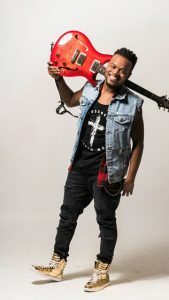 Simply, you are in pursuit of a music career or any career – if success if on your radar – make it about Jesus, everything else is a facade and the only truth is found in who He is because he is the way to truth and to life. That would be my words of encouragement. He’s the only thing that can sustain and satisfy.